I noticed that the cog/gear doesn’t come up after submitting the waitlist form, which I think is caused people to click it multiple times and joining multiple times. Is it just me with this issue? Is that not happening on your event? If not can you link me to the event, please? 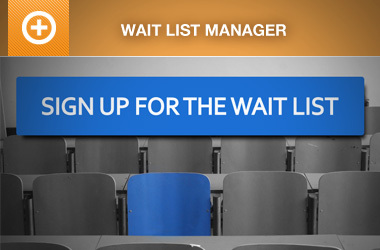 The form works in the sense that it reloads and the person is added to the waitlist. The problem I’m having is that they are hitting the button multiple times because they can’t tell that the page is loading without the spinner indicating as such, like it does in the registration process. Is it something you could put in for a future update? Ok, I’ve created a ticket to see what we can do to improve this in a future version of the add-on. The other thing you could do is add a note to the site that instructs to not click the buttons more than once. Yes, I do have a note right on the form to only press once, but the reality is that I don’t think people read it. I continue to get people taking multiple waitlist seats. The support post ‘Waitlist cog’ is closed to new replies.